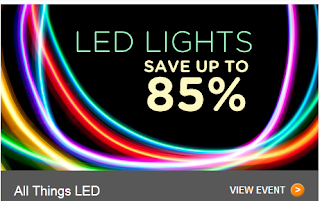 Beth Ann & Jessica's Helpful Savings: NoMoreRack: Get $10 sign up, LED shoe laces just $6. Awesome!! NoMoreRack: Get $10 sign up, LED shoe laces just $6. Awesome!! Get $10 from me when you sign up for NoMoreRack. They've got awesome daily deals including this one: LED lights up to 85% off!! 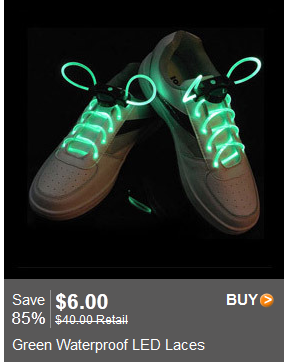 Check out the LED shoe laces for just $6.